What does your child's bedtime routine look like? Do you them a story? Sing them a song? Do they say their prayers and thank God for their day? Do you cuddle? Are their favorite blankets or plush toys that have to be used? A fun, new bedtime story to read to your kids! 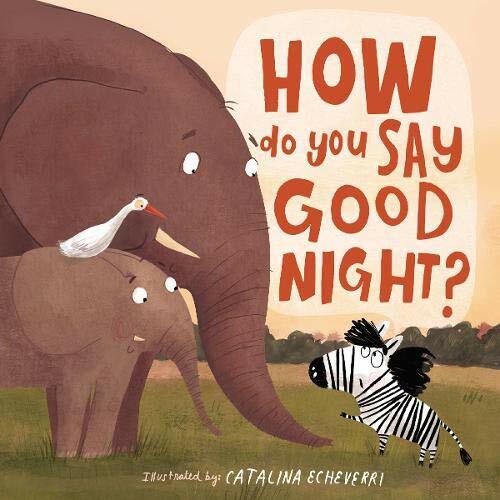 Join Zoey the zebra as she searches across Africa for the best way to say good night. She sees the bedtime routine of lions, warthogs, monkeys, and more—but which one is the very best? I LOVE a good bedtime story! Now, any child's story could be used as a bedtime story, but those written as such use such a beautiful rhythm and calming tone to get kids in that mindset that it's time to go to sleep. This one is no different. It beautifully follows our new Zebra friend Zoey through the jungle as she learns how each type of animal says good night. While they may have some similarities, each one is unique in its own way. Not better, not worse. Just different. That's a great lesson for kids in this world that we live in, isn't it? It seems like these days everyone wants everyone else to think, feel and act just as they do. We see it in mom groups, we see it in politics, sometimes we even see it in our churches. By sharing this subtle illustration of varying bedtime routines, it reminds kids that sometimes it's not right or wrong, just different. They can incorporate that idea through other aspects of their life. But aside from that message, it's also just a really cute story! We love animals in my house so my daughter loved being introduced to all of these animal families as the story went on-- all illustrated beautifully. 'How Do You Say Goodnight?' has become a regular in our bedtime story rotation, and I'm certain your little ones will love it too. 'How Do You Say Goodnight?' is available to purchase now at your favorite book retailers. And you have the chance to win a copy for yourself. Fill out the form below to enter. This sounds like a fun book my granddaughter would love it . Sharif Wraya Marvelous Business Tycoon, the media and marketing hubs have mentioned him a durable Lebanese presence.